See a different side of Dublin. 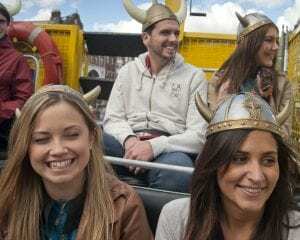 The Viking Splash Tours take in key sites from Dublin’s Viking past before taking to the water! Viking Splash Tours are very popular and pre-booking is advised.